There are no regulations banning people from hanging bunting at weddings and village fetes or flying flags for sporting events. 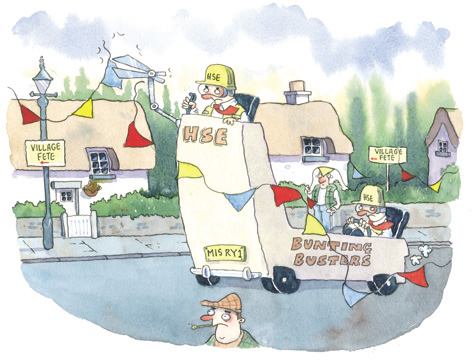 HSE encourages people to have a bit of common sense about their attitudes to risk, not to make everything risk-free. There won't be an army of inspectors cutting down bunting or insisting flags are lowered. HSE exists to prevent people being killed or seriously injured at work, not to stop people celebrating in style.